Gan Katan is a drop-off class for children who are two years old. 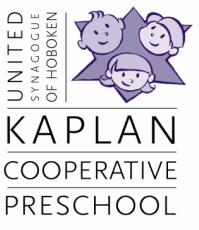 It offers a Jewish program open to children of all faiths. We will learn about Shabbat, Jewish holidays, Jewish values and stories. Class meets Monday, Tuesday, Wednesday, Thursday 9:00-11:00am and Fridays 10:30am-12:30pm. Children may attend one, two, three , four or five times a week. Class meets Mondays, Wednesdays, Fridays from 9-11am. Children may attend one, two, or three times per week.